Internet Safe Education - How it works? 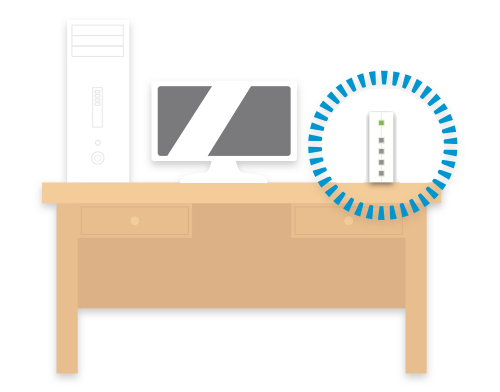 The unique Family Zone Box simply plugs into your modem router. It provides powerful WiFi with no impact on your home internet speed. Simple to set up, the Family Zone Box can manage access rules and schedule play, school, study and sleep times for all your family’s devices. It can even manage guest access. Family Zone offers uniquely unified parental controls at home and on the go. Download the Family Zone app from the App Store or Google Play to remotely manage your kids’ mobile devices and apply the same Family Zone filters and access restrictions they have at home. and it’s simple to set up and easy to use! A Family Zone Box will cover an unlimited number of internet enabled devices within the home (eg. computers, laptops, consoles, tablets, mobiles etc) and plans start from AU$4.95 per month. The Box costs AU$89 upfront (plus delivery). If you want to protect mobile devices outside of the home, then you will need to select a plan based on the appropriate amount of mobile devices. For example you can use a Family Zone Box at home and also protect up to 3 mobile devices outside of the home for only AU$7.95 per month. As an added value we also highly recommend the services of our Cyber Experts - independent leading professionals Family Zone have partnered with who are able to create age appropriate settings for your family and continuously ensure these are kept up to date. This costs as little as AU$2.95 per month. Our signup process will work you through your options and tailor a package that’s right for you. Family Zone’s expert support team are available to book specific call times. You can get general support, installation support or a complete cyber safety review - all without charge. Family Zone has partnered with Computer Troubleshooters, Australia’s largest chain of mobile IT support. Contact Computer Troubleshooters if you’d like an in-home visit to set up your Family Zone, and/or to provide support with your personal computing and networking. If you’ve chosen a Cyber Expert in Family Zone you will be able to access their online forum. Ask questions, volunteer answers and collaborate with your community. Our Australian based contact centre is the pride of the Family Zone. On hand to support our customers and Cyber Experts, our staff are committed to making an impact and valuable contribution to the lives of families and communities. © Family Zone Cyber Safety 2016. All Rights Reserved.